Babylonian amora of the sixth and last generation; lived in Sura. 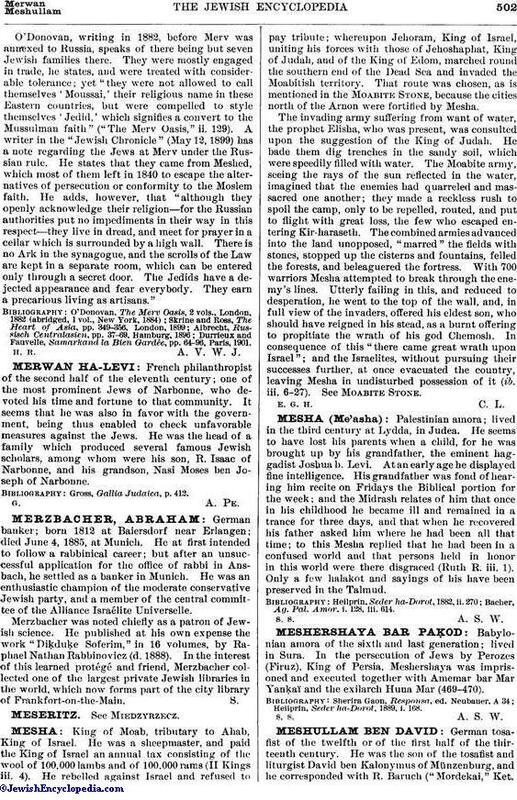 In the persecution of Jews by Perozes (Firuz), King of Persia, Meshershaya was imprisoned and executed together with Amemar bar Mar Yanḳaï and the exilarch Huna Mar (469-470). Heilprin, Seder ha-Dorot, 1889, i. 168. S. S. A. S. W.